If I had to choose one favorite soup, it would have to be potato cheddar. It would be even more favoriter if it had bacon on top. When waiting to hear the soup of the day on a menu I always secretly hope it will be potato & cheddar and am sadly disappointed when it is something uber-healthy. That happens more and more these days, so it’s time to take matters into my own hands. 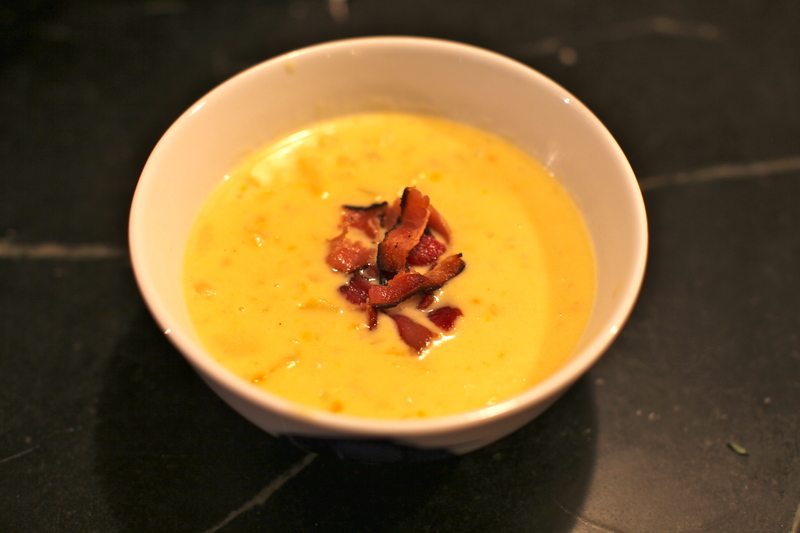 To finish my week of delicious soup I’ve made it my mission to find the most decadent potato cheddar soup recipe. I did a bit of scouring of the web and found a recipe from Wolfgang Puck that looked pretty darn good. My husband just saw him in a restaurant in LA, so I figure it was a good coincidence. You can find the recipe here. Wolfgang is a man of my own heart and the recipe gets off to a good start by cooking bacon and then melting 1/4 cup of butter in the bacon grease. 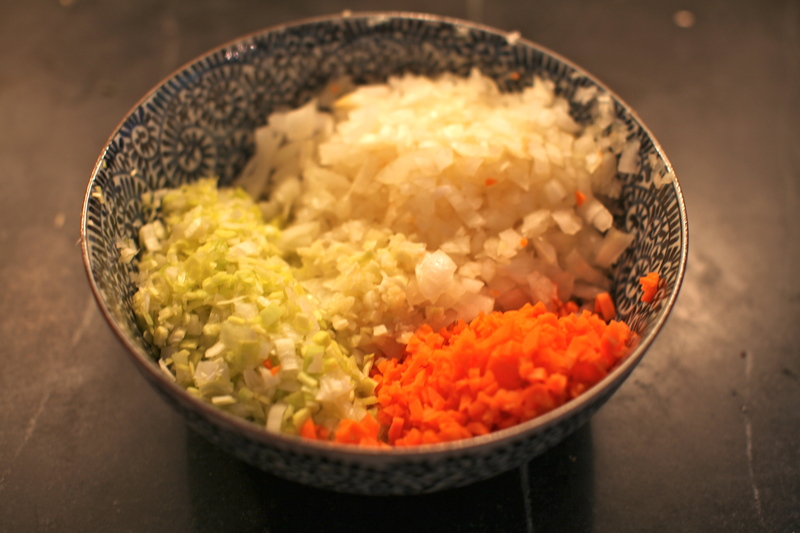 It continues to get better with finely chopped leeks, yellow onion, carrot and garlic which gives the soup a nice depth of flavor. 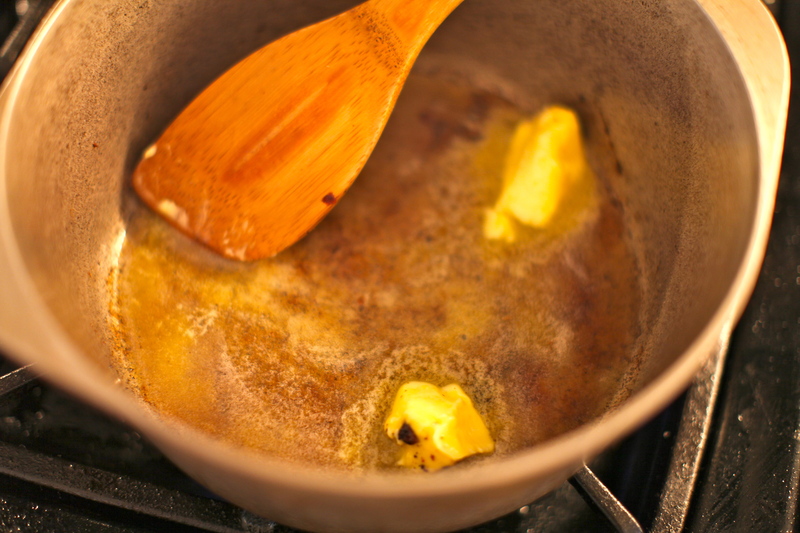 These are then sauteed in the bacon grease & butter before adding in delicious chicken broth. 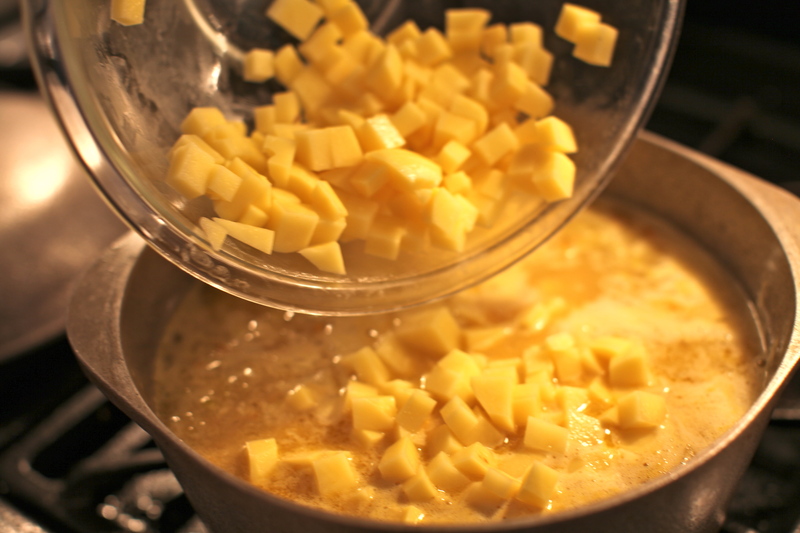 Then it’s time for the main ingredient, 3 lbs of potatoes and a little bit of boiling until they’re tender. And the soup continues to get better with a lb of sharp cheddar cheese and a cup of heavy cream. 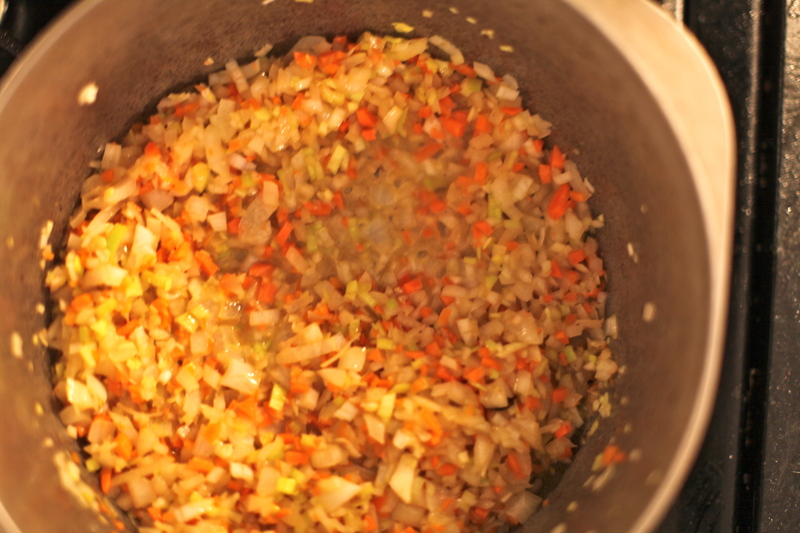 There is nothing really healthy about this soup to be sure but it is worth it. 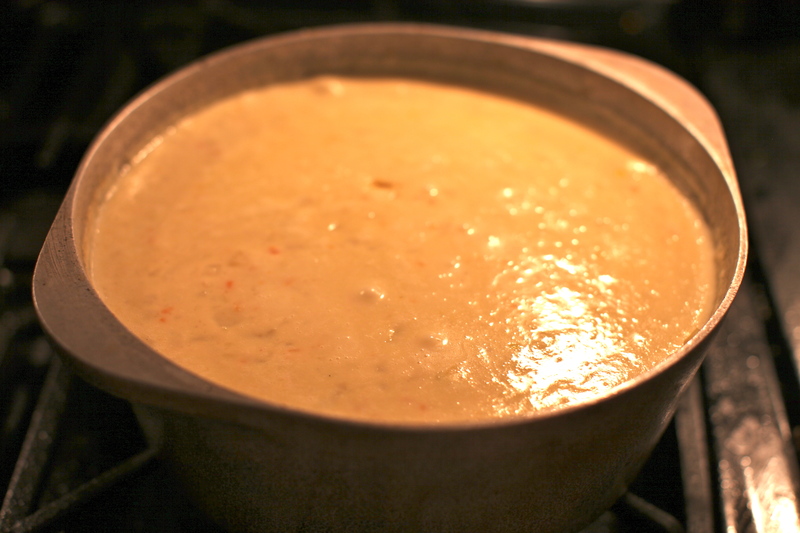 I don’t know if this will be my ultimate potato & cheddar soup recipe but it was definitely one of the best I’ve made. i thought i was reading my smitten kitchen feed for a sec. food photos look amazing!!! thanks Justin! that was a fun week of cooking, although this week the weather has been back in the 80s. Summer keeps holding on! hope you’re well. You are currently reading The bomb at 52 To Do.